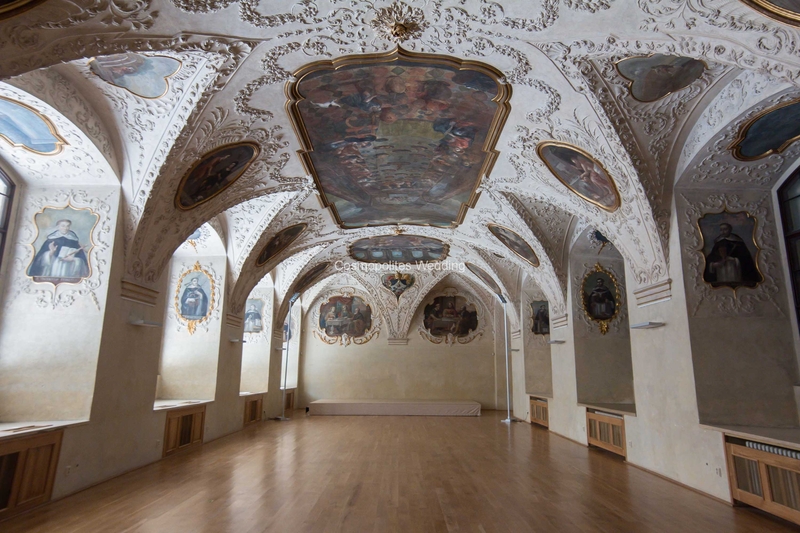 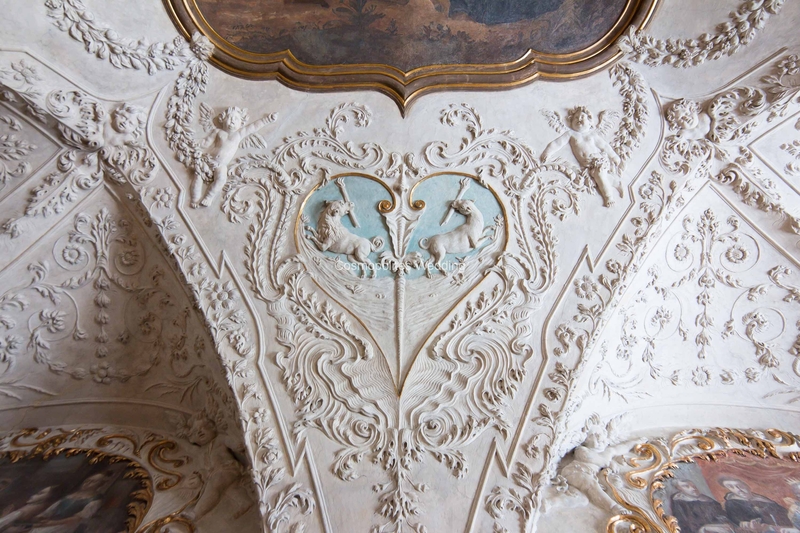 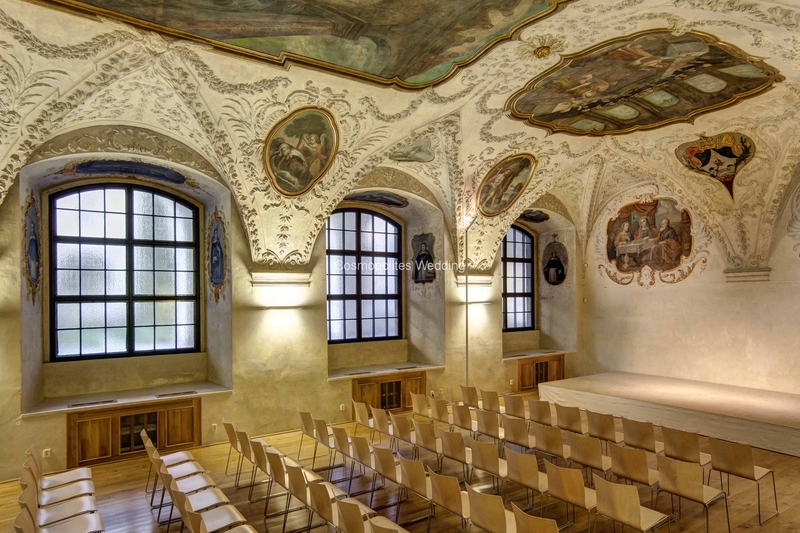 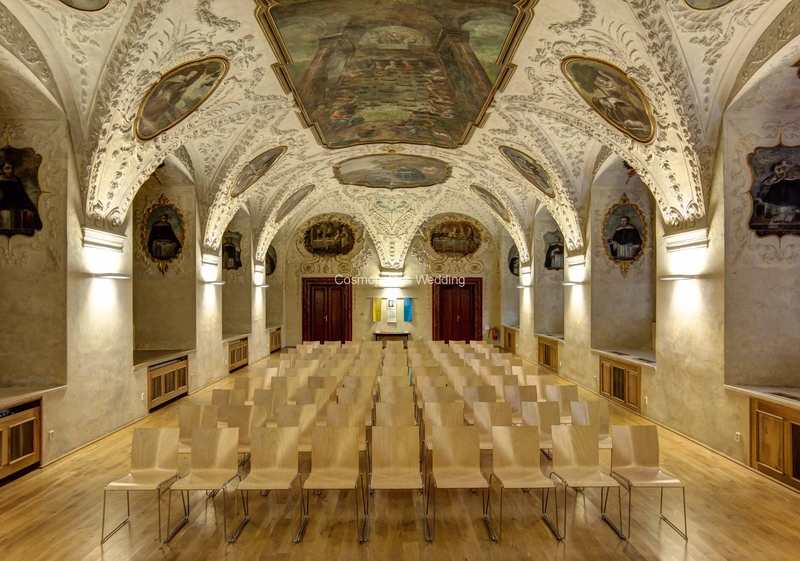 In the center of Prague, not far from the Old Town Square and Charles Bridge, there is a remarkable Baroque Hall. 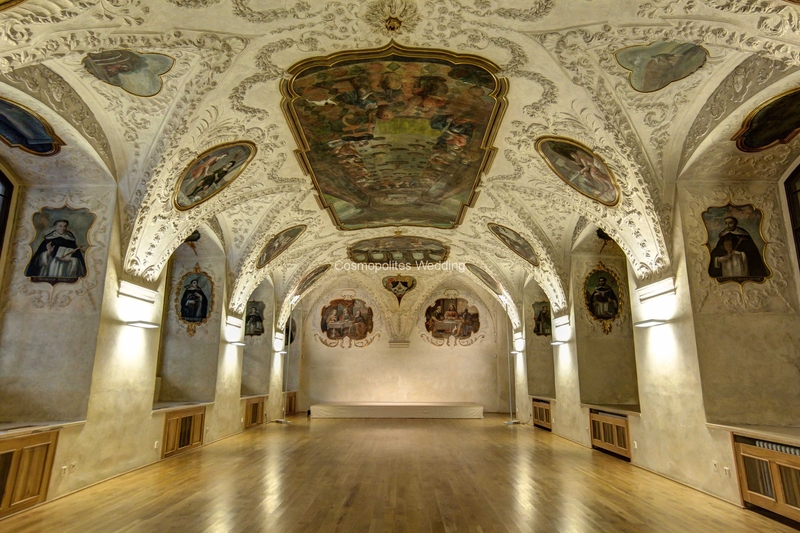 Previously, Hall served as a refectory (refektorium) for Dominican monastery of St. Julia, one of the most important of the Dominican monastery in the Czech lands. 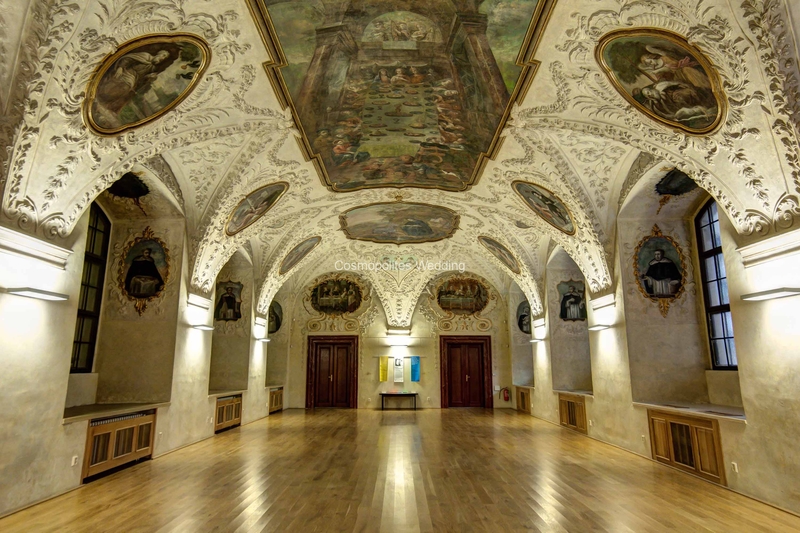 Large Baroque style refectory was created in the late seventeenth century. 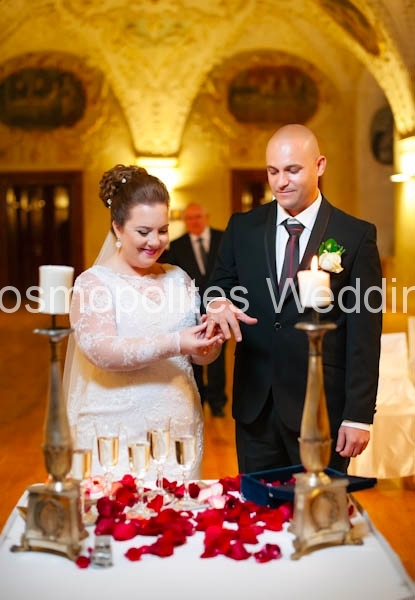 There were conducted not just a meal, but also a number of rituals, prayers and blessings that accompanied the dish. 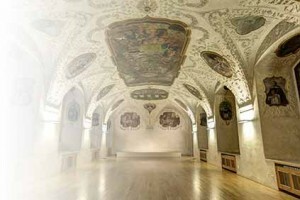 Today’s appearance Baroque hall received after its reconstruction by the famous Italian architect Carlo Lugar in 1712. 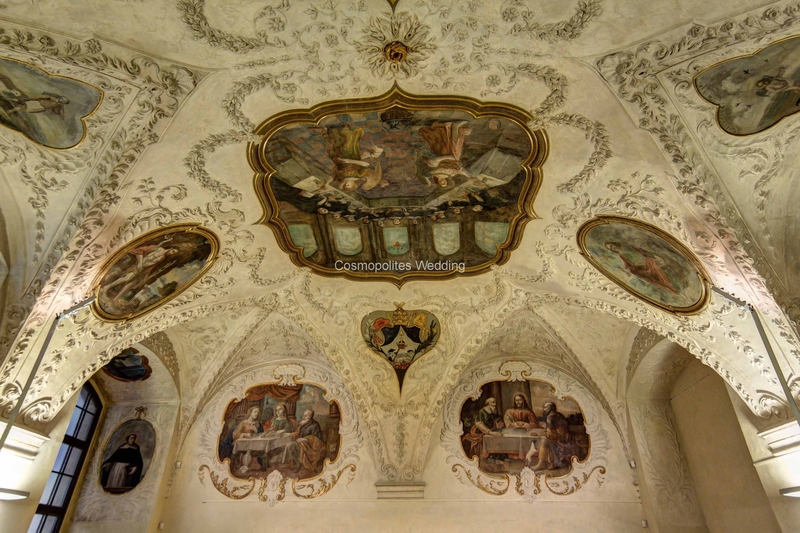 It was paid particular attention to the ideological concept of decoration of the hall that can be contemplated in the rich stucco decoration of walls and arches with the addition of some fifty paintings from the dominant theme of «Fest». 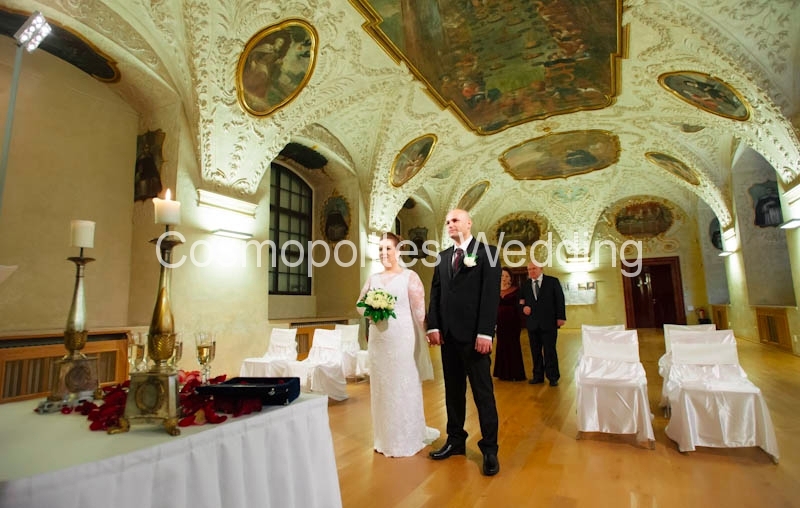 Today Baroque Hall is used for major events such as weddings or banquets. 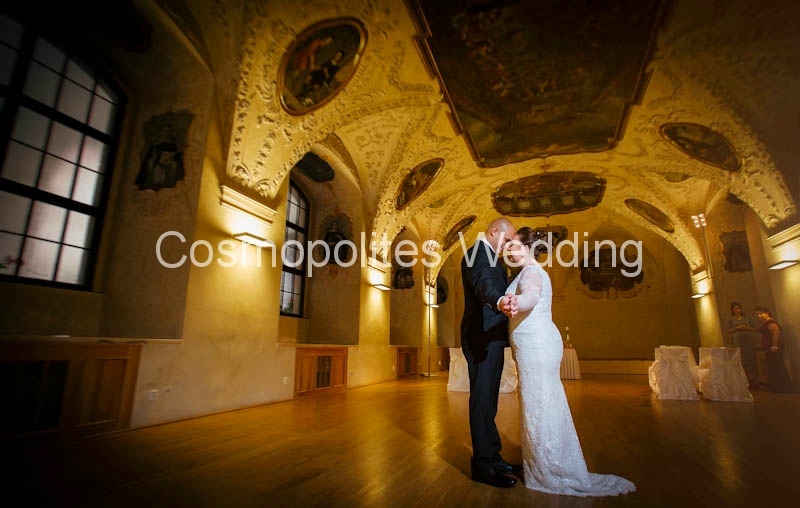 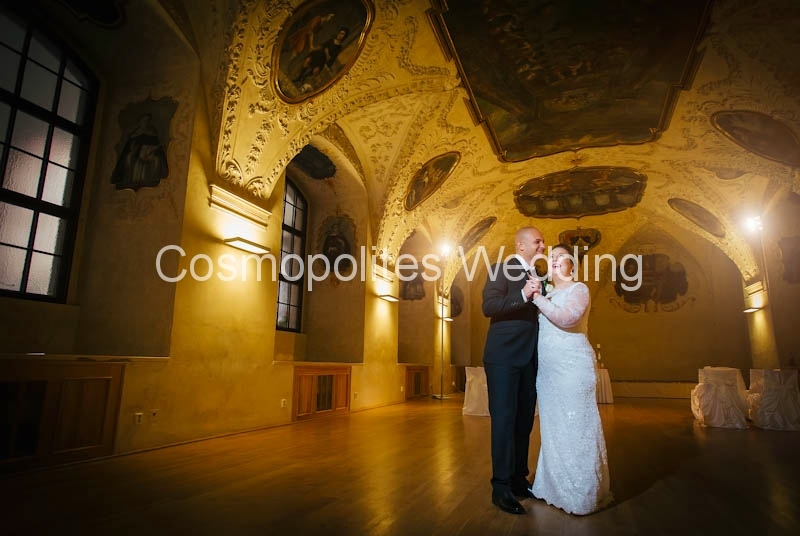 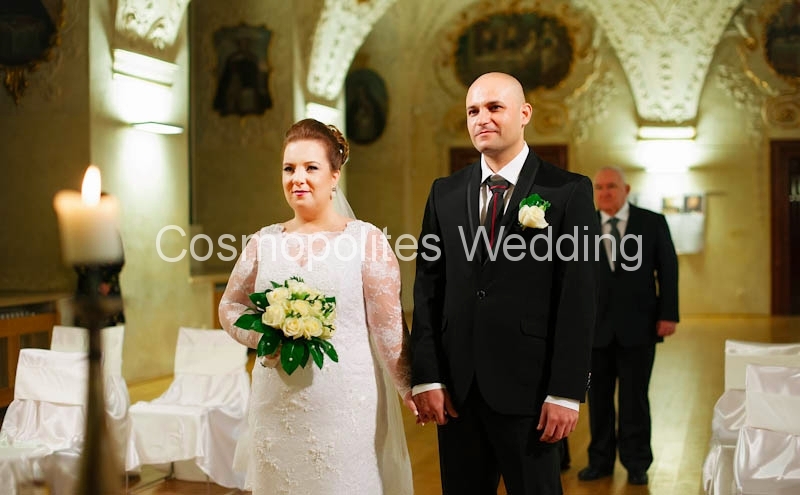 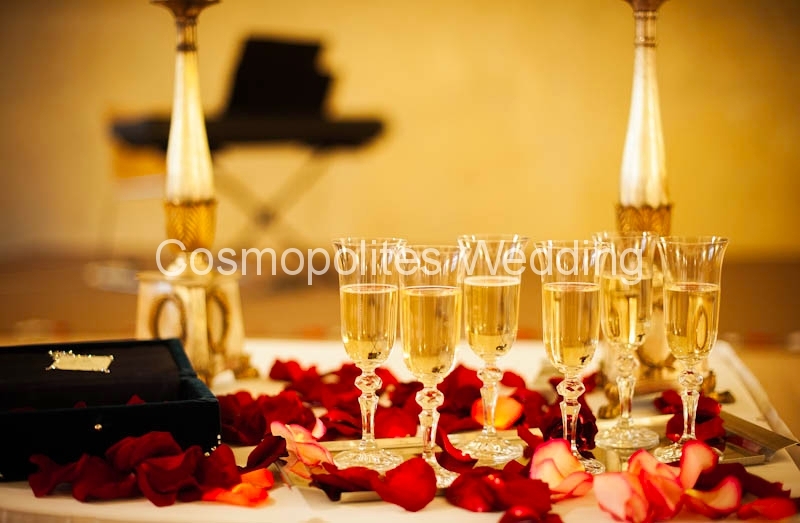 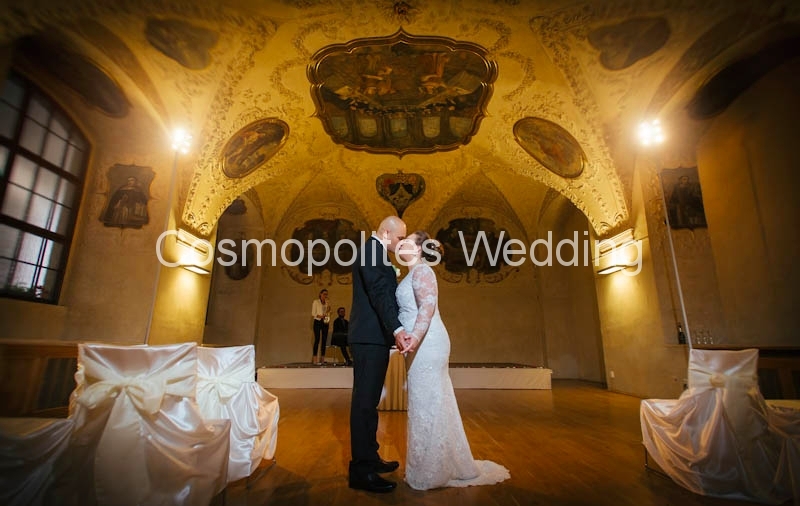 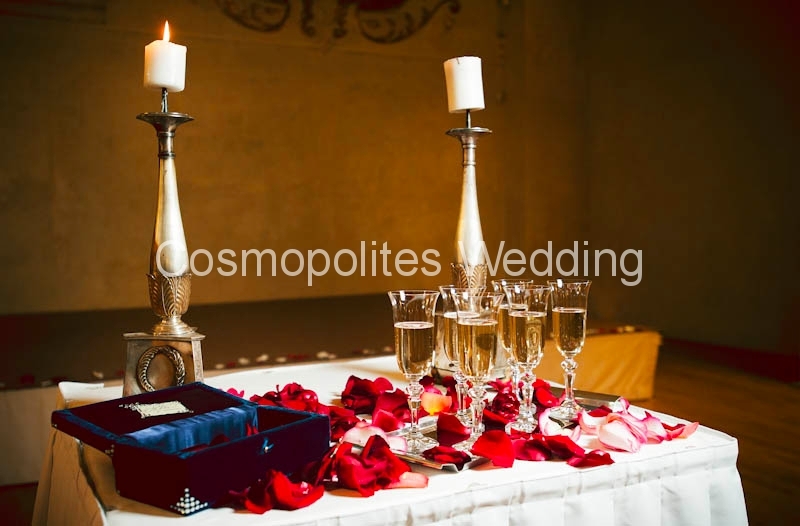 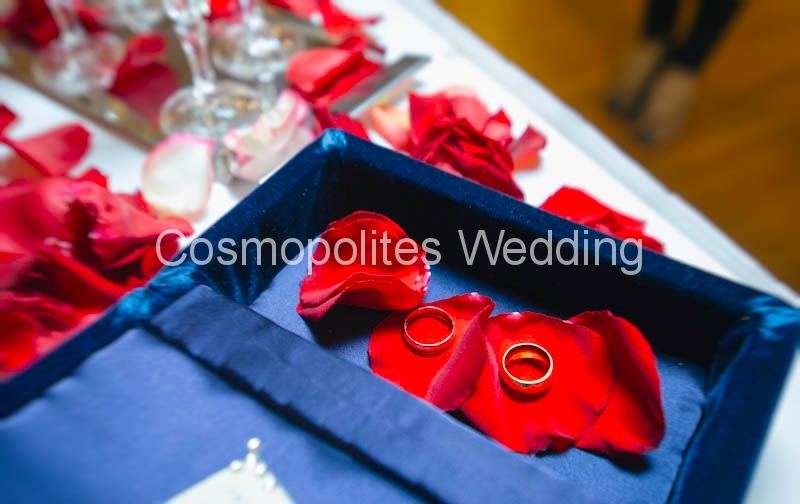 This wonderful place can also become a coveted destination for your wedding ceremony in Prague! 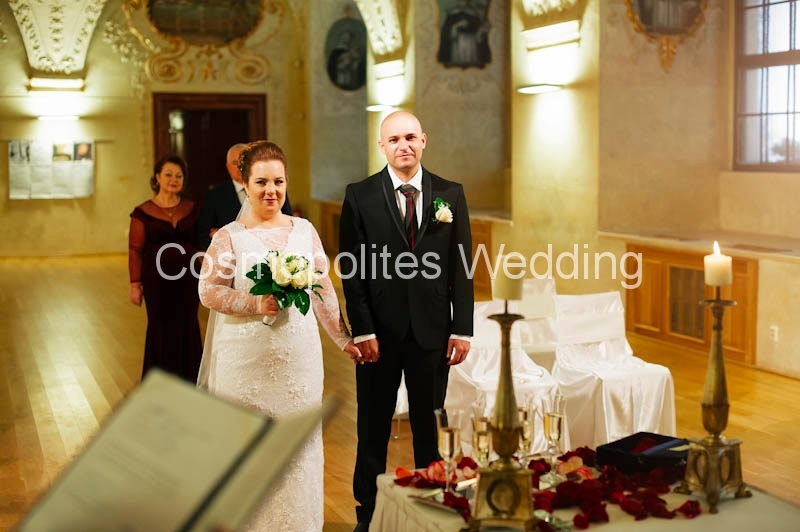 After the wedding ceremony you can also have a nice photo session at wonderful «heavenly» garden, which is situated at the territory of the working monastery.